Cincinnati, OH - October 27, 2014 - Contract Guardian was selected by RFID Solutions, Inc. to deliver a complete, never ending management process for their contracts. RFID felt that it was a requirement for their organization to be more agile. The answer for their client lifecycle process was the integration of Contract Guardian for management of their clients and ProspectStream for managing the sales process. Reporting, at a glance and in real time, to see what contracts are in what stage through extensive reporting functions. Cincinnati, OH - September 16, 2014 - Contract Guardian (solution from Rippe & Kingston Systems, Inc.) today announced it has partnered with DocuSign, Inc. (DocuSign®), The Global Standard for Digital Transaction Management™ (DTM), to help enterprise customers go fully digital. DocuSign helps organizations of every size, industry and geography keep business digital – eliminating the hassles, costs, and lack of security in printing, faxing, scanning and shipping documents to complete transactions – to achieve faster speed to results, lower costs, and better customer experiences. Contract & Document Scanning Optimized for the Web! Cincinnati, OH - September 12, 2014 - Contract Guardian (solution from Rippe & Kingston Systems, Inc.) today announced it has released a new module call "Rapid Scan". Based on Dynamsoft's Dynamic Web TWAIN SDK, Contract Guardian Rapid Scan Enables Web-Based Contract and Document Scanning, Archival and Retrieval which is ideal for industries like Healthcare, Legal, Government, Finance, etc. Cincinnati, OH - July 15, 2014 - Contract Guardian, a leading solution for managing company contracts, commitments, and compliance is pleased to announce the native integration of DocuSign, the world's leading e-signature solution, into our web-based Contract Management application. "We are pleased to provide this valuable electronic signature service to Contract Guardian clients via native integration with DocuSign." Contract Guardian Services Team, Rippe & Kingston Systems, Inc.
Contract Guardian, a leading solution for managing company contracts, commitments, and compliance announced that its plans to attend the HCCA North Central Regional Conference in Indianapolis, IN on October 6th, 2014. The event will be held at the Indianapolis Marriott North. Topics being covered during this regional conference include: ICD-10, Meaningful Use, Auditing and Monitoring Appropriate Access by Workforce Members, Stark/Anti-kickback, Cloning and Correction of Medical Records and Conducting a Compliance Audit / Review. "We are always excited to both attend and sponsor the great HCCA events," said, John Reuter, Director of Implementation Services of Contract Guardian. Nurture clients through the automated contract notification system. You can add your own customized emails to occur automatically with Contract Guardian. It is not limited to contract renewals! Example: Management of warranty renewals with literature that discusses the replacement product and or service. This can help attract the attention of an existing customer, create additional awareness about your company and engage the client through a new product and or service dialogue. Research your Contract Management System for other opportunities. Leverage the reporting & search capabilities to perform analysis on your base of clients. You can identify factors (common thread) that will make existing clients ideal for other products and services. Perhaps it is also time to add them to a call list for your sales representatives. Contract Guardian, a leading solution for managing company contracts, commitments, and compliance announced that its plans to attend the HCCA Mid Central Regional Conference in Louisville, KY on November 7, 2014. The event will be held at the Marriott Louisville East on 11/7/2014. Topics being covered during this regional conference include: Top 10 Security Concerns for Healthcare IT, Federal & State Criminal Healthcare Fraud Investigations, Security, The London CIA, OIG Update, Show ME the Money, and Round Table Discussion - Hospital/Privacy & Security/Compliance Hot Topics. Cincinnati, OH - July 15, 2014 - Contract Guardian, a leading solution for managing company contracts, commitments, and compliance announced that a leading non-profit acute care hospital in California has gone live with Contract Guardian the 'Intuitive Contract Management' solution, to effectively manage contracts, improve visibility, manage access, and evaluate performance. CINCINNATI, Ohio (July 2, 2014) - Rippe & Kingston Systems, Inc. a diversified information technology services firm, just announced that Ohio based ProspectStream, a Cloud Based Sales Process Management Software Firm, has gone live with Contract Guardian “Intuitive Contract Management”, to effectively manage contracts, improve visibility, manage access, and evaluate performance. ProspectStream is leveraging Contract Guardian to simplify and update all aspects of healthcare contract management and compliance within the firm. In addition, they are utilizing Contract Guardian APIs to connect with their product. ProspectStream will deploy the Gold Edition of Contract Guardian over the web, thus requiring no capital expenditure. All aspects of a firm’s contract management lifecycle, including contract creation, monitoring of key milestones, and compliance can be managed via a computer or any popular mobile device. “We’re extremely excited about what we have already seen in Contract Guardian and thrilled that they can easily integrate with our software” says Steve Farfsing, President of ProspectStream, LLC. Learn more about Contract Guardian by calling 513.977.4544 or request a demonstration. While a merger can make great financial sense, it often results in a loss of institutional memory that walks away with the reduction in staff. A merger may also result in some promotions of existing contract managers and promote them. Again, an organization can experience loss of knowledge and expertise. Well defined healthcare contract management contract types. Each type should clearly specify the unique data to be captured, what is required, optional and default values. Strong journal of all transactions and the history of any change, comment and notification regarding an agreement. Defined alert system as well as a work flow and signing approval for each contract type. Reporting system to review, report and identify any potential concerns. If you have a hosted contract management system (sometimes called SaaS or Cloud), you will eliminate one of the many challenges that the IT team often faces. You will still experience pain with almost any merger or acquisition. However, having the above in place for your contract management system will minimize the loss and ease the transition. If you're like many companies, you keep a growing list of hard copies and electronic files plus a nifty spreadsheet to track key dates and details. Yet it can still take hours, even days, to track down the data you need when you need it. Not having an effective system to manage your contracts is almost as bad as not having a contract! Organizations have invested significant time and money to reach the point of a signed contract. Unfortunately, it is incorrectly believed that this is the last time anyone needs to look at the agreement. The search API can be initiated with or without predefined parameters. Typically, clients will have an icon that will initiate the search. It will open a new window and execute the full text search. The search addresses all security concerns and constraints associated with the client / user. News broke this last week of a wide-reaching security vulnerability known as the Heartbleed bug. Heartbleed affects OpenSSL, used by a majority of the web to securely send data. In short, we want you to know that we performed penetration tests on Contract Guardian and it is Safe from Heartbleed. Contract Guardian – Contract Management has established an exceptional reputation for client service and quality of solution. Client satisfaction is fundamental to Contract Guardian and is our top priority. Notifications via email is certainly the default approach for most contract management systems. However, it is not very effective if the email is undeliverable. On a day to day basis, Contract Guardian automatically monitors delivery, bounces, click through, etc. Obviously, those checks are performed after the delivery attempt is made. One time step: Create email notification in Contract Guardian that is sent to all parties in the system. This will include internal hospital employees as well outside vendors, etc. Identify the email as a test and tell the recipient no action is required. One time step: Create agreement. Link all parties in the system to the agreement. Select only the email notification that was created in step 1. Define the agreement as auto renewal with an increment of 1 year per renewal. Trigger the notification 1 day prior to expiration. Automatic: Contract Guardian will automatically monitor for any undeliverable "hard bounce" emails that indicate that either the hospital / vendor employee is no longer with the organization or it was entered incorrectly. Annual: Make your corrections/additions/deletions and Contract Guardian is set to automatically do your annual checkup going forward..
Contract Management – What to do next? Contract Management - What to do next? Contracts and their associated tasks change constantly. How do contract managers know what to do next? The Contract Guardian solution offers easy-to-use ways to manage, track, remind and notify you at every turn in the life-cycle of a contract. Contract Journal Feed – You will see a stream of the most recent activities where you have responsibility. Recent Contracts – The five (5) most recent contracts that you have visited are shown with an immediate link to the agreement. Upcoming Contract Deadlines – Seeing a graphical representation of deadlines for the next 6 months can be very informative. Example: A hospital contract manager might see the upcoming physician employee agreement renewals for which they are responsible. Contract Profile Chart – All of the contract types are summarized into a pie chart with the number of each type being displayed. Contract Managers usually spend a majority of their day on the main page. Here is where they can filter, search, sort and organize all of their agreements. One quick and easy tool to keep you up to speed is your favorites. Simply click on the star next to any agreement and it will become one of your favorites. Now, a punch list of work is available without even searching. Contract Notifications – Contract Guardian has some of the most comprehensive capabilities in the contract management industry. Contract Task Tab –This pull out tab is accessed from any page in the system. It will pull out and you can see any of your tasks. In addition, you can select and close the tasks directly from the tab as well access complete task management. Receive timely email alerts of expiry dates and any other contract deliverable deadlines. Adding workflows to your system will then automatically inform the user of the next step in the process. 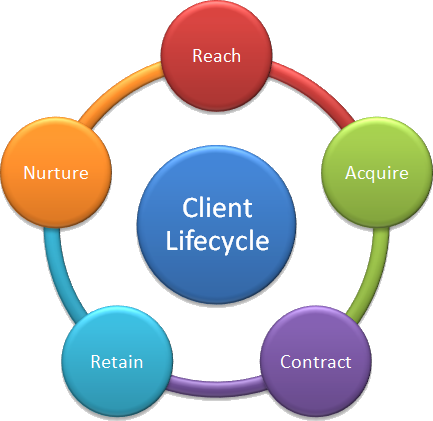 Include digital signatures to your contract workflow and you have a very through cycle. Unfortunately, there are still several holes in the previous process where the information falls through without important monitoring. One of these holes is monitoring emails that bounce. Here is a real world scenario where Contract Guardian allowed us to react to a bad email address in the system. A healthcare organization was sending alerts from their account to a single responsible party on a contract. Contract Guardian monitoring flagged the email when it received a bounce notification from the system. A quick call determined that the email address belonged to a former employee. The tracking of this situation allowed the Contract Guardian Administrator to update the contract and remove the user email from the system. Tracking and notifying the administrator of Out of Office or On Vacation “soft bounces” will help the compliance people know that no activity is taking place at the moment. Another one of these holes is that there is no way to tell if the email was opened or if the user clicked on any links in the email to take an appropriate action on a contract. Your contract management system needs to monitor all of this and make the appropriate alerts/notifications. Here is a typical account showing the Opens vs. Clicks. The next contract management software email alert chart reflects overall activity for a snapshot of time. You will notice that for this account, 110 emails were delivered and 2 were bounced. Filtering by the bounce provide you with the problem email addresses. Compare opens clicks and delivery stats between different groups of emails, based on your own custom search filters. Locations – Country, State, City, etc. Operating System: Windows 7, Windows 8, Android, IOS, etc. You use mail merge when you want to create a more professional and personal email notification within Contract Guardian. For example: If you are a hospital that wishes to create a personalized notification of a physician agreement that will lapse, you could include within the body of the notification all core fields and user defined fields for that contract type. Set up the main contract notification document. The main document contains the text and graphics that are the same for each version of the merged document — for example, the name of the other party. (Physician, Vendor, Company, etc.). Insert the fields into the notification template. Using the email notification system, select the field you wish to show in the email and insert it into the body of the document. For example, the names and addresses of the vendor. Contract Guardian does the rest. It will automatically trigger the notifications and deliver it to the appropriate individuals based on the rules of the notification. Note: This is a onetime process. Once you setup an email notification and provide the merged fields, you can set it and forget it.